This level has medium difficulty. 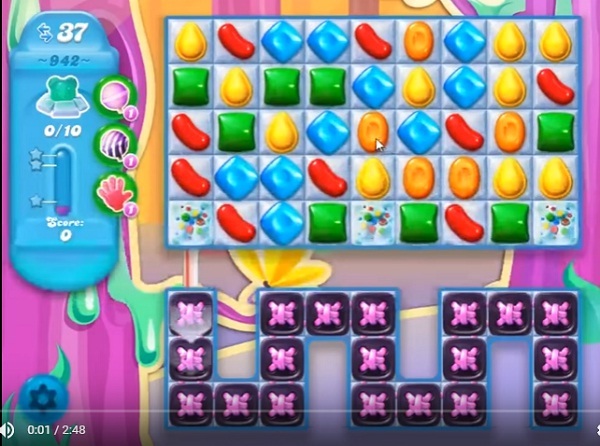 For this level try to play more from top part of the board where more candies are available to play. Make striped candy and combine with other special candy to break the blockers and snow to find the bears. This level has licorice on the left side now. Can you update? Did you finally finished this level? Stuck for 3 days now. Best I can do was 8 bears. The licorice is a pain, just have to get rid most of it before it goes down on the board. We’ll keep trying.